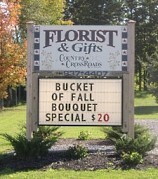 Country Crossroads of Marilla is a premier full-service florist proudly serving the Marilla, New York/Buffalo area and all surrounding suburbs for over 7 years. Our highly-trained staff is ready to assist you with placing orders for local delivery or anywhere in the world. Not sure what to send? We'll gladly help you with creative suggestions. Whatever the occasion, let our talented designers create your fabulous floral arrangements. Choose from several traditional and contemporary floral design styles that are perfect for birthdays, get well, anniversaries, sympathy, holidays or just because. 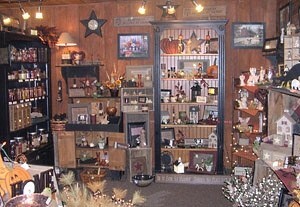 When you’re looking for something special, Country Crossroads of Marilla has just what you need! 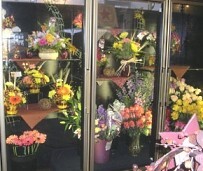 Sympathy & Funeral Flowers ~ Ask our staff about customizing a floral tribute to a departed friend or loved one. We will design and deliver funeral flowers that beautifully convey your expressions of sympathy and serve as a lovely memorial to the deceased. Wedding Flowers & Special Events ~ With Country Crossroads of Marilla designing the flowers, your special day is sure to be a blooming success!! Call us in advance to set up an appointment with one of our wedding/event coordinators. 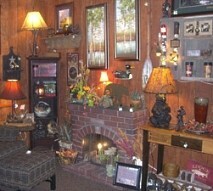 We also feature an in-store gift registry. Furniture, Home Decor items, Framed Art, Scented Candles, Rowe Pottery, Country Linens, Robert Rothchild Gourmet Foods, Lodge items, Decorative Silk Arrangements, Seasonal/ Holiday Gifts, Home Decor, Greeting Cards, Chocolates, Gift Baskets, Plush and Balloons. 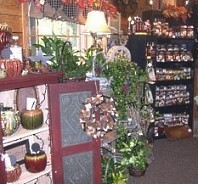 Country Crossroads of Marilla delivers the freshest flowers and brightest smiles! Country Crossroads of Marilla is open to serve your floral and gift giving needs: Monday through Friday 9:00 am to 5:30 pm and Saturday 9:00 am to 3:00 pm. Closed Sunday, except for seasonal hours of 11:00 am to 4:00 pm. For your convenience, we deliver daily to all hospitals and funeral homes. Thank you for visiting our website! Convenient and secure online ordering is available anytime, day or night.